Designed and made in NH, each ornament is a tiny multi-dimensional sculpture made from natural wood. 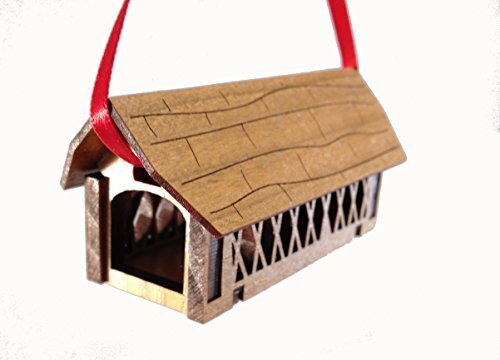 This covered bridge ornament is a quintessential New England Classic. Comes with hanging ribbon attached. This ornament can also stand alone on its base and could adorn a mantle or as part of a holiday scene.